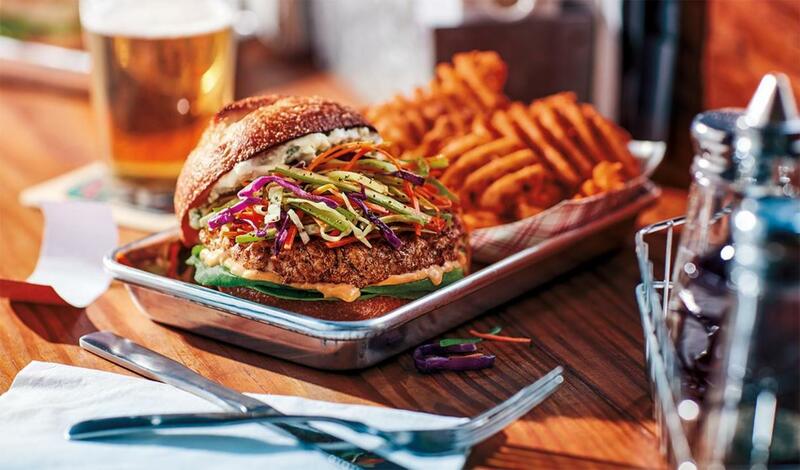 A zesty chicken burger with pepper jack cheese, carrot slaw and two flavorful mayonnaise blends made with buffalo sauce and blue cheese. Cook ingredients in melted butter until vegetables are slightly wilted. Cook patty until internal temperature reaches 75° C.
Spread Blue Cheese Mayonnaise and buffalo Mayonnaise on buns.